There is something intensely natural about propping your elbows on a window sill and watching the world unfold below you. 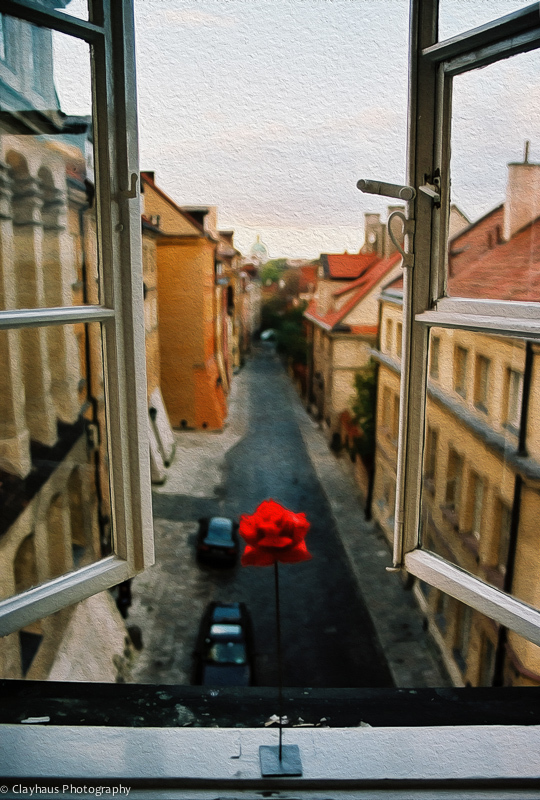 Whether a local spying on the intruder tourists shambling down their ancient street or a newly arrived traveler throwing open his hotel windows to see what there is see, to experience this particular patch of the world, the window is a portal like no other. The door is for passing through. Sure you can linger a bit, but eventually you will be blocking someone trying to gain entrance or exit. The door is also obvious. It’s hard to hide and watch, when filling a doorway. And, you are (generally) on ground level: one step out and you have joined the others…the throng walking by or the people milling about looking at shop windows. Either way, you are now on their level. Windows are special. They are not made for exiting. They let air in and the view out. You can linger for minutes or hours and rarely will you be seen. As a photographer, they provide the opportunity to photograph the watchers as much as the watched. Windows can truly be the light on the world: revealing a microcosm of sights and sounds and movement, fleeting events dramatic and comedic. Though, sometimes, they are just simply, windows. View from our room in the Florentine Hotel Torre Guelfa. Not much to see here. The view was much better when we made our way up several more stories to the top of the 13th century tower. At one time there hundreds of these fortified tower houses rising hundreds of feet. Their occupants were either allied with the pope or with the Holy Roman Emperor and like much of the Italian peninsula these forces did battle for over 100 years. Only a few of these tower houses still exist in Florence, having succumbed to the battles of 700 years ago. Our hotel is one of those. Banská Štiavnica is a wonderful old silver mining town in the hills of central Slovakia. Our hotel room in the Hotel Grand Matej looked out directly on the so-called New Castle, across the valley. 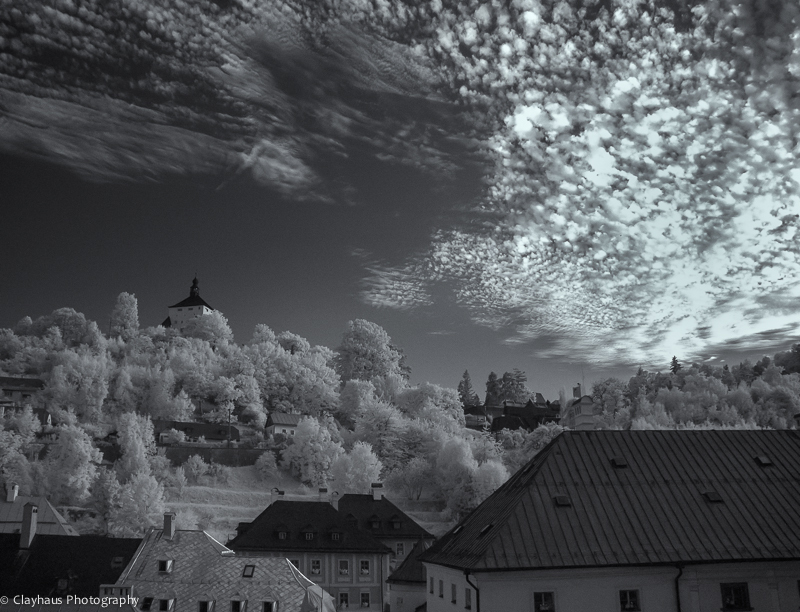 Surrounding the medieval town are rolling hills and woods which provide good hiking possibilities. This amazing sunset view was captured with my XPan II film camera out the hallway window of our hotel in Piran, Slovenia. The sunset glow splashing on the centuries old buildings really makes this image work. Slovenia is a small cross-roads of a country with major culinary and architectural influences — not to mention historical — from its neighbors. Until the mid 20th century Italian was the dominant language. Again captured in Piran, Slovenia and again taken with my XPan, this view is looking the other direction, out our hotel room window and further out to sea. Across the Adriatic is Italy. Along the quay, to the right of the mustard colored building is a number of restaurants where enjoying a glass of refreshing white wine whilst watching the sun drop into the sea is not to be missed. 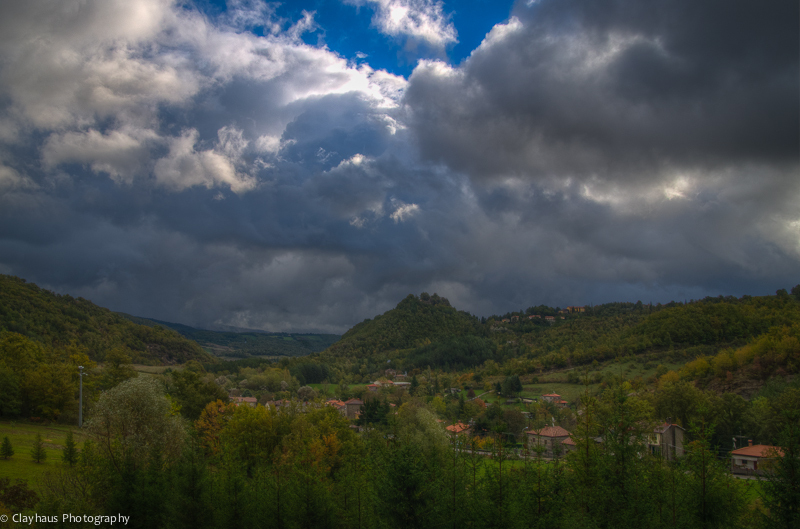 Upon awakening, a stormy, blustery morning greeted me at Casa Cappellino, our villa of choice in this rural section of Tuscany. This image is a 3 exposure HDR taken from our upstairs window. Yes, it rained a lot that day and the wind was more than occasionally, shall we say, bracing? But the light was Tuscan through and through. On the top of the knob of hill seen here is the birthplace of Michelangelo, now known as Caprese Michelangelo. 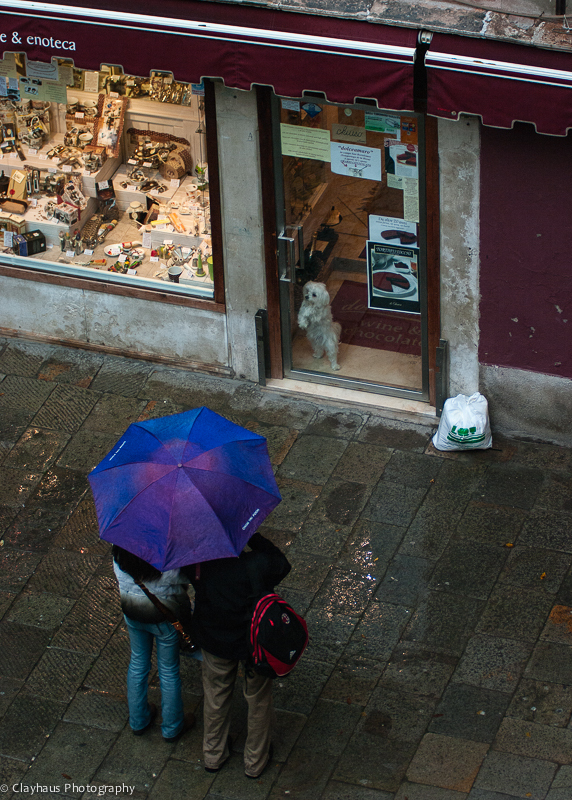 Shot from our apartment in Venice, it was humorous to watch this little white doggie scratch at the glass door and look forlornly in the direction of his master, who had briefly stepped out for his morning doppio espresso. Having no real sense of time, how could the little guy not think that dad might be gone for days, perhaps eons, maybe even 15 minutes. The tourists thought he was cute as well, and snapped a photo, as I snapped one of them. Eger, Hungary became famous for its celebrated stand against the invading Turkish armies of the mid-16th century, a Hungarian Alamo of sorts. More recently, the region’s Bull’s Blood red wine has put the town on the oenophile’s map. Our hotel room was located smack dab in the old town, which is good thing as beyond this rather compact core, the city devolves into blocks of ugly Soviet functionalism. 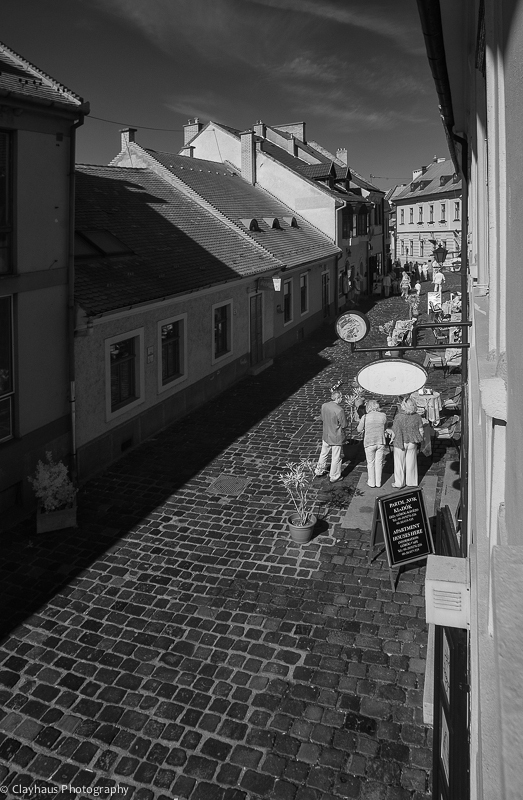 The clickedly-clack of fashionable shoes on the cobblestones, the murmuring babble of Magyar-speak brought me to our window on more than one occasion. 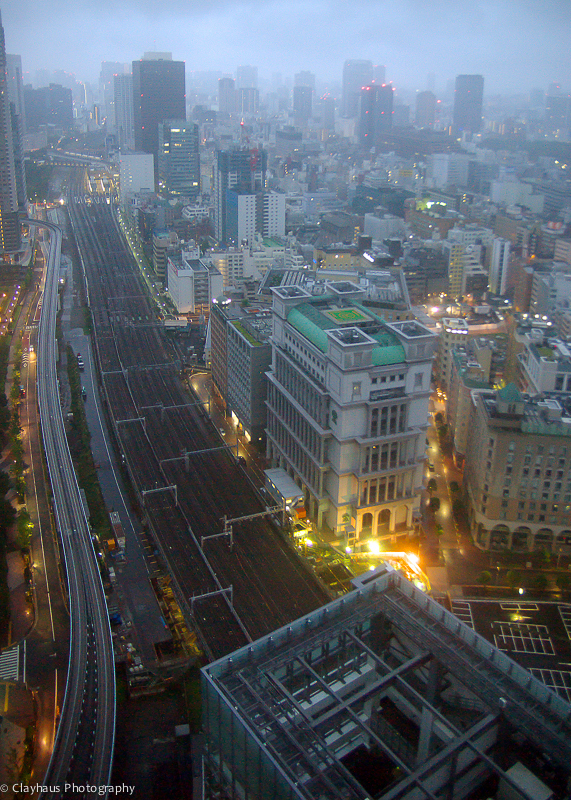 The early morning view from the 32nd floor of the Park Hotel, Tokyo is as urban as you can get. Watching the city come awake, the trains running below, the lights slowly winking out, was pretty special for my jet-lagged mind. The light was a bit of a challenge as was shooting through the thick glass, but I am glad I made the effort…and woke up early enough to see this. 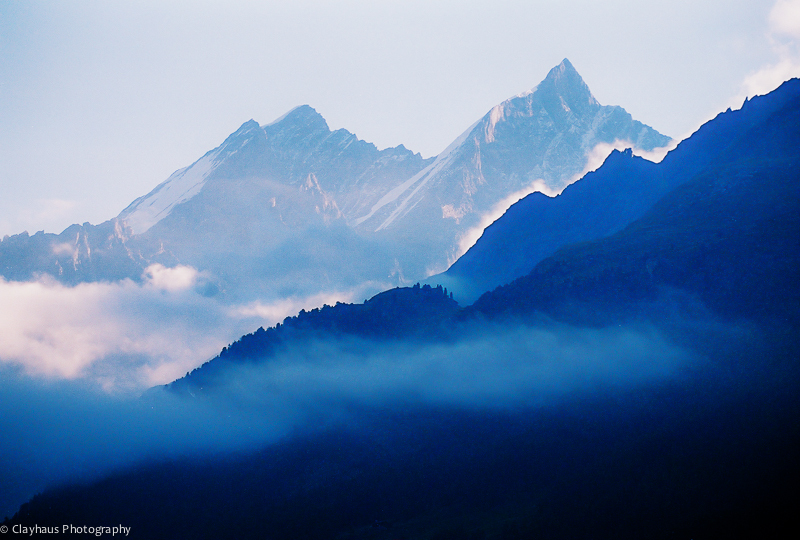 We stayed a week at an apartment in Zermatt, Switzerland and several mornings I woke early enough to watch the sunrise on the Weisshorn from our living room window. I was sobered by walking through the climber’s cemetery and seeing the name of this forbidding peak etched on the stone of many a young mountaineer’s final resting place. Not a great shot by any stretch, but sometimes you just shoot what you see out your window. 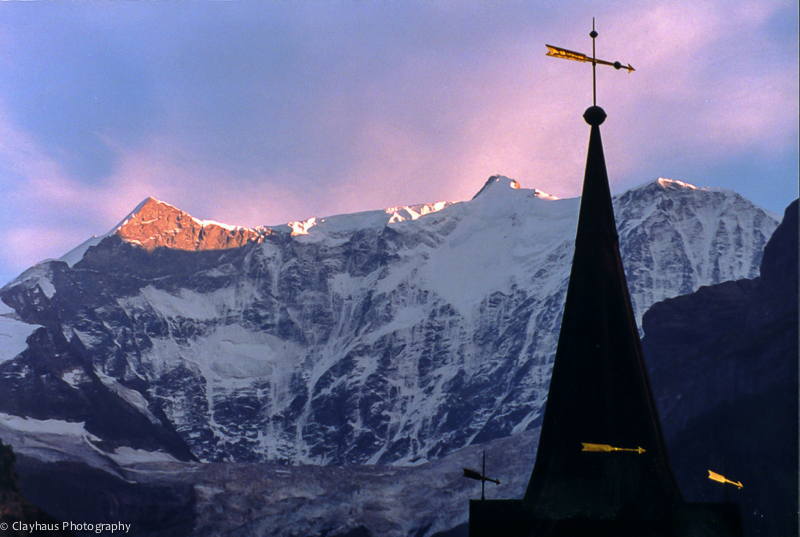 In this case, the sunset view from our Grindelwald, Switzerland room was sublime with the church steeple silhouetted against the glowing Alpine massif. Staying next to churches can be problematic if they choose to toll the hour (or quarter hour!) all night long. This one fortunately was set to stop ringing at 10pm…amen for that! In town squares or walking down village streets I will often scan the buildings, looking for those watchers with their elbows propped on the sill. 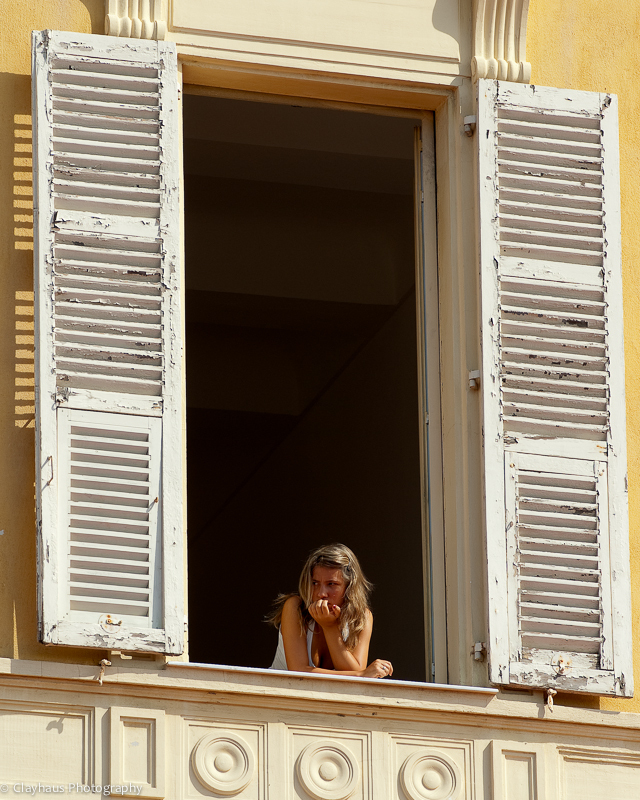 In Nice, France on market day, whilst all the hustle-bustle, selling and bargaining was going on below, this young woman, framed by the huge window and paint-deprived shutters, gazed to and fro, not looking but seeing. I often play the game of wondering about their lives. But game it is, as I’ll never know. 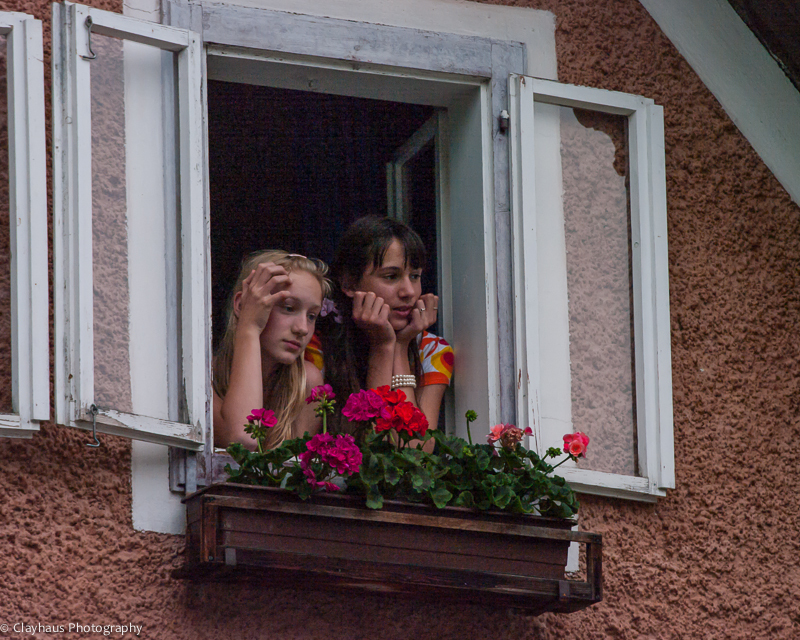 The day we arrived in Vienna, Austria, we threw open our windows — it was exceptionally warm and muggy that May day — to see thongs of white-clad people streaming below our pension, carrying banners but walking in a dignified, quiet manner. Apparently they were health-care workers protesting cut-backs. The power of the many on display, though I don’t know if they were actually successful in their attempt. In the overwhelmingly picturesque town of Hallstatt, Austria, one evening we were rewarded by an outdoor concert in the minuscule town square, just outside our hotel. I captured many images of the band members and on-lookers. But, this is one of my favorite as the young girls — locals I presume — have assumed almost Classical expressions on their faces. 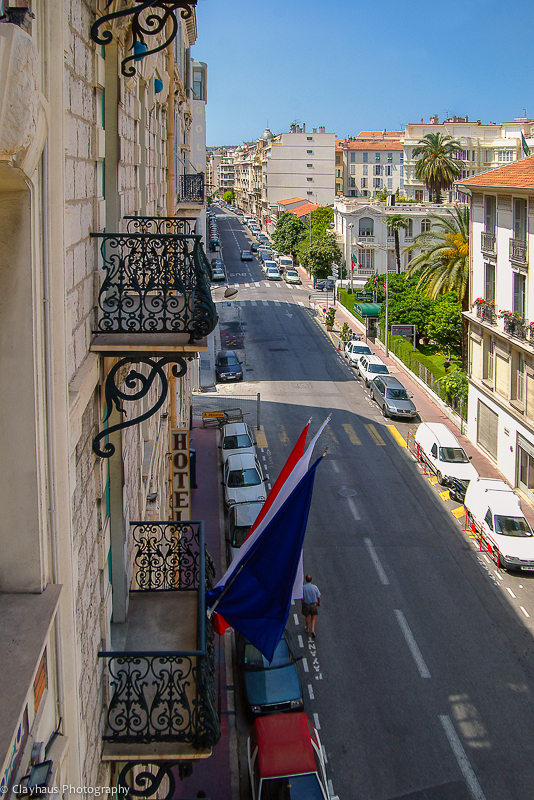 If ever in Nice, France, a stay at the Hotel Windsor is recommended. The rooms are wildly painted, each with its own special treatment, and the elevator makes a rocket launch sound when ascending. I know: it sounds gimmicky. Perhaps it is, but it also works. This view out our window is not terribly remarkable, but for me captures the warmth and light of the south of France, in an urban setting. My father and I took a two week trip to Poland in 2003. We completed our journey by staying three nights in an apartment just off the old town square. This beautiful area was almost completely razed by the retreating German armies, but the Poles did their best to restore the area to its former glory. I used a treatment on this image, looking out our living room window, to convey a more impressionistic mood. It works for me, but maybe that’s because I was there. 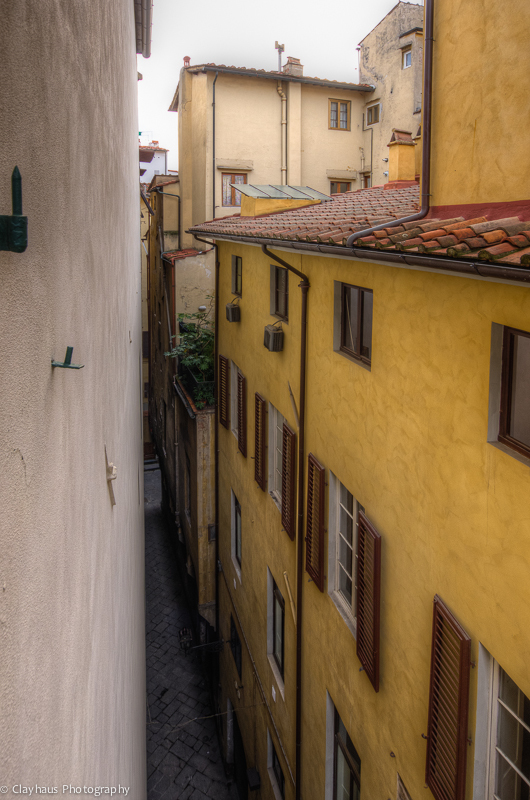 We stayed two nights in a tiny, cramped room in Verona, Italy. The hotel was not bad and was ideally located just around the corner from the Roman arena that is still used — for concerts, not slaying Christians. 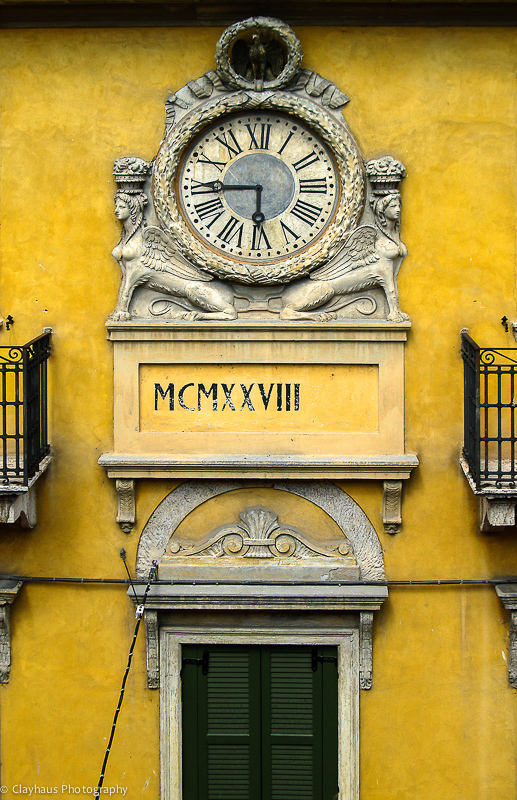 Our room looked straight out across a very narrow alley to this remarkable clock with the date 1927. The winged lion of St. Mark is seen all over the Venato region, but these lions are rather un-Christianly well-endowed, methinks. Le Marche — to the east of Tuscany and Umbria — is the region to visit if you want to see what those more famous provinces must have looked like before the arrival of the bus tours and tawdry sellers of trinkets and t-shirts. Its most well-known destination is probably the capital of Urbino. Once thriving in the time of Dante, it is now rather sleepy with little in the way of tourist crap. It was beastly hot on this day and I caught this elderly lady peaking out of the sanctuary of her darkened and presumably cool room. 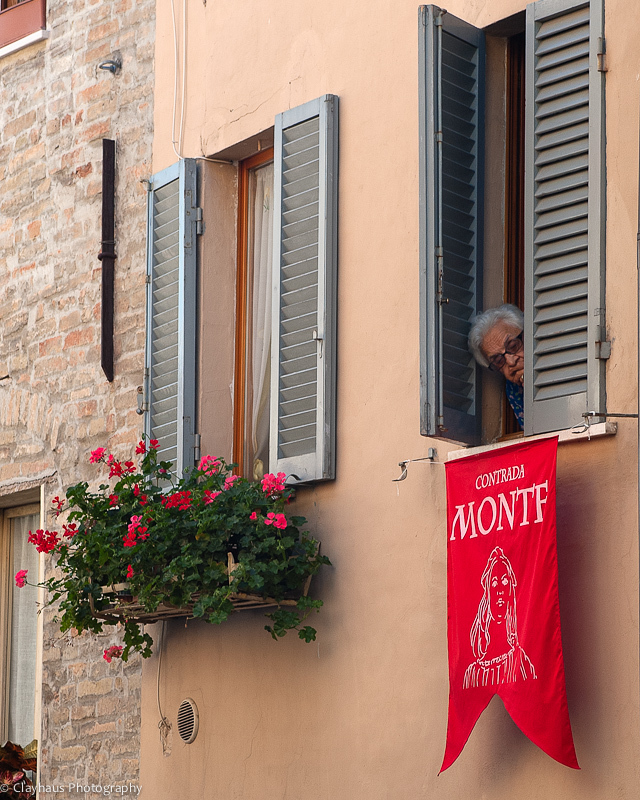 The banner below promotes her contrada, or town district. Many Italian cities are divided into contrada which date back to medieval times. Fierce pride blossoms into centuries-old tribal rivalries, though now of course peaceful competitions channel these feelings. 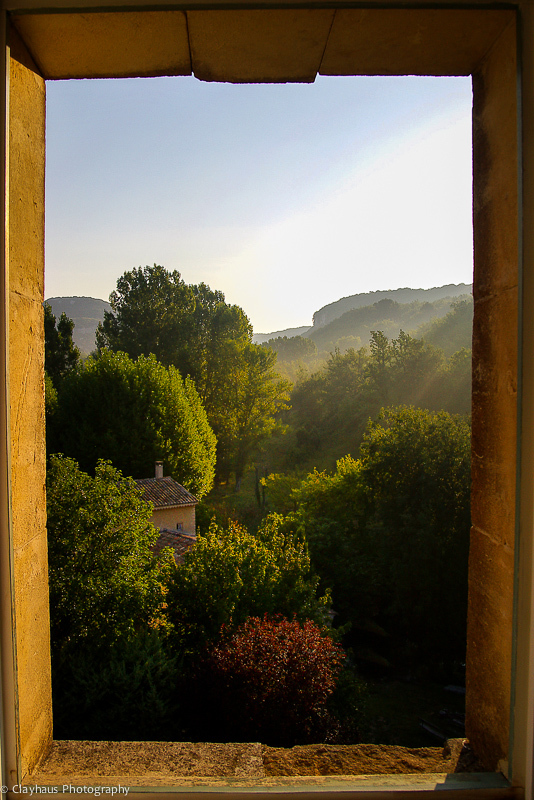 One of my favorite window shots, captured as the sun rose over the warm hills of the Lubéron, in Provence France. We were staying in the lovely country hotel of L’Auberge Aigue Brun, and a more peaceful, bucolic scene could not have been dreamt. And, in fact, my wife did continue to slumber while I shot this. Who now has the more memorable dream? 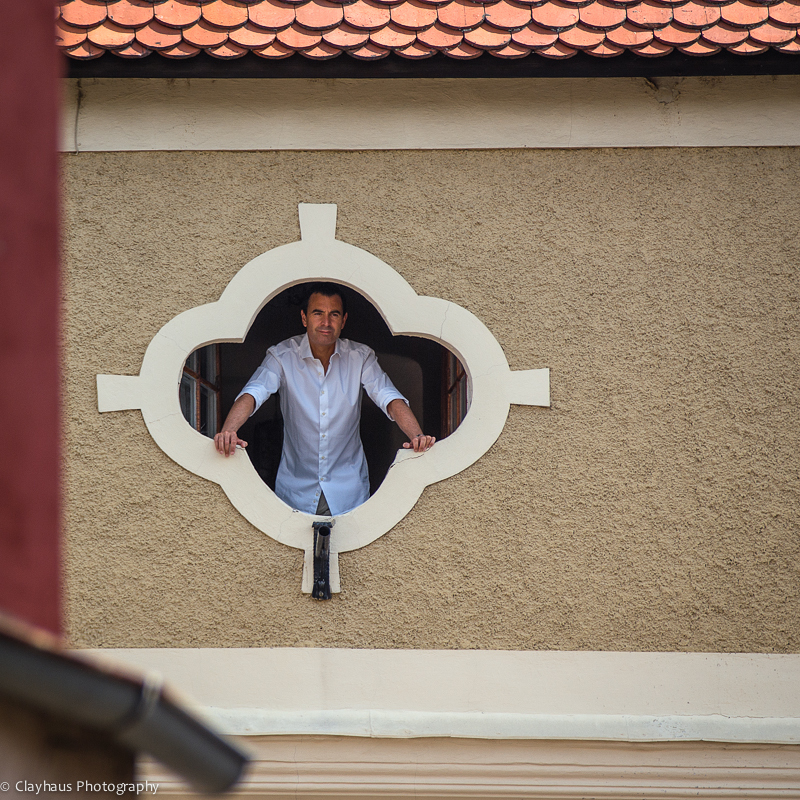 A wonderful window framing a gentleman staring out at the postage stamp-sized Austrian town square of Durnstein. What was happening? It was the end of May and the entire town, perhaps even the county, turned up to play music, drink lots of beer and take down the Maypole. There was lots of human-interest to photograph as the ‘action’ was very slow. I had time though as apparently so did this gent. 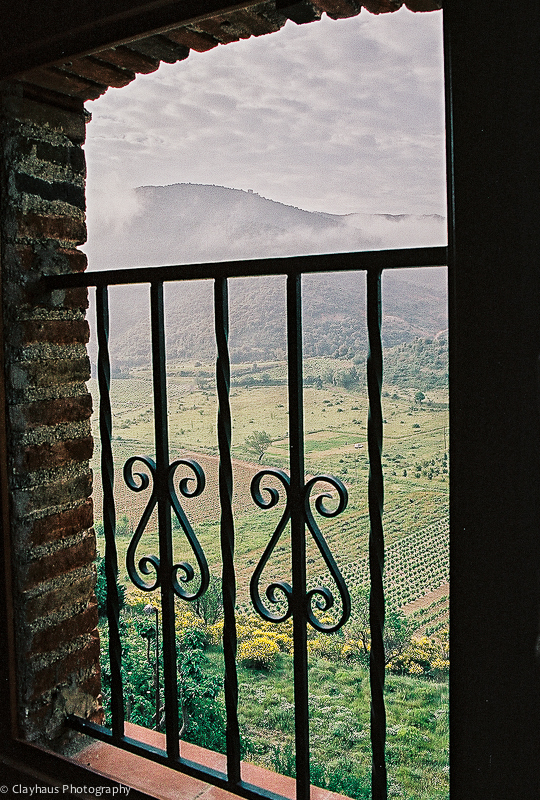 As far removed from the whirring and movement and lights of a city as possible, our room in the Languedoc town of Cucugnan looked out on vineyards and hills where crusaders slashed and burned their way in the 12th century. This is Cather country and though that ascetic Christian sect (the only crusade waged against other Christians in Europe occurred here) is long gone, the hilltop castles and strongholds still exist, in various states of glorious ruination. 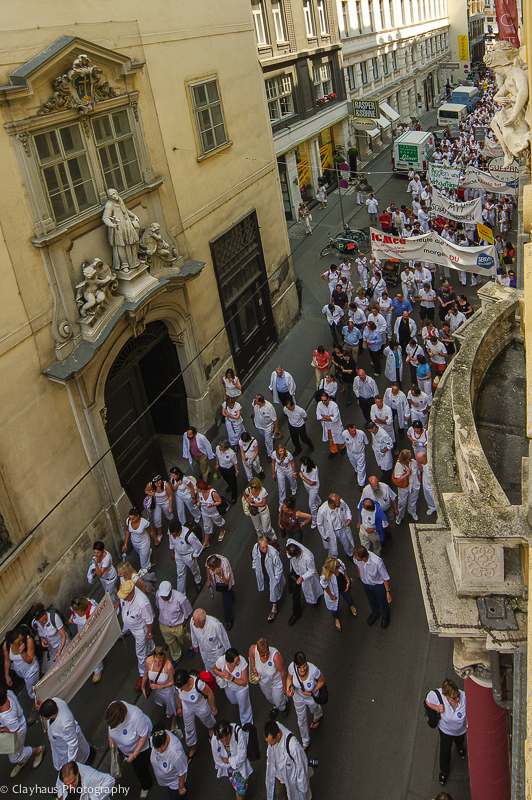 Saint Saturnin de Lucian — in the Hérault region of the Languedoc — is really known for not much. Though its wines are superb and there is a very very good restaurant just down the road that does exceptional pairings. Our hotel room view was of the pétanque ‘court’ which on Saturday evening was the place to be. 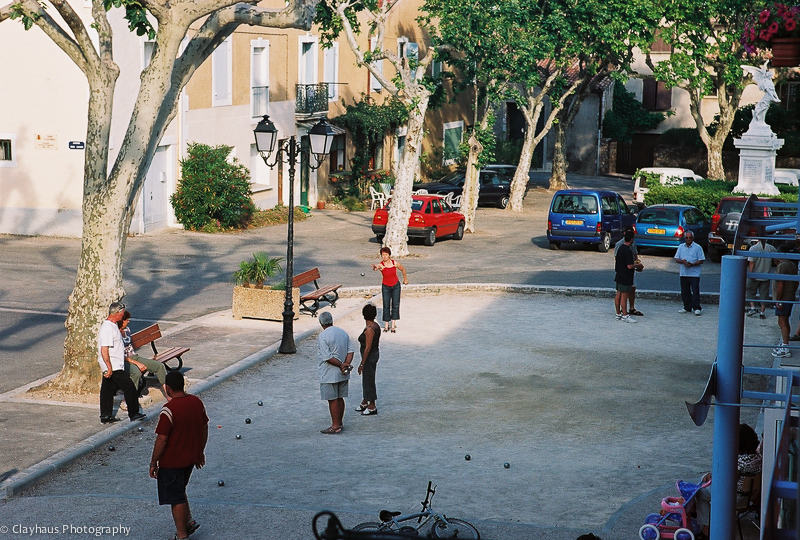 A form of boules and related to the Italian game bocce, the game is ubiquitous in the south of France and every village, no matter how small, is graced with one of these gravel playing pitches. I could watch for hours and I did, just ask my wife. There is something very democratic about this game. Any body size, any gender, any age (more or less) can come together and compete together. You need willing players, the balls and cochonnet (the small ball ‘target’), and a moderately smooth surface. Sponsors and superstars need not apply. Greatly enjoyed viewing and reading. Thank you Jeff.